The sun is finally out and Summer is fast approaching. And although you might not be quite ready to loose that winter coat all together, you could certainly start thinking about adding some pops of fun and colour in to your work looks. Statement jewellery is a fantastic way to brighten up and add versatility to a work wardrobe that you might be somewhat bored of. 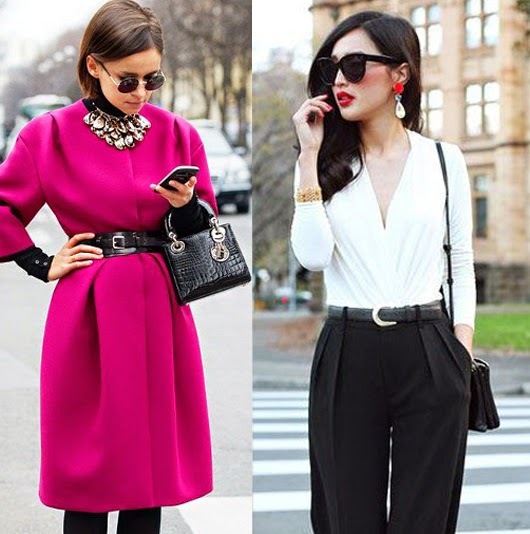 A plain white shirt can suddenly look incredibly chic and stylish if coupled with a gorgeous statement necklace or dazzling pair of designer earrings. You can stack different coloured bracelets to create a playful, colourful Summery look. Or stack a combination of gold bangles of varying sizes for a particularly feminine and laid back feel. A plain sweater or t-shirt can be given a new lease of life if matched with a combination of layered necklaces or just one chunky statement piece will do the trick. Stud earrings are also a particularly good option for office style as they are generally neat and professional looking, but they need not be mundane! These days you can find a fantastic selection of oversized statement stud earrings, that maintain a smart and sophisticated option but with a fun and unique twist.